The spring CSA at Hampstead Farms kicked off this week. I brought home some beets, arugula, garlic scapes, mint, and roasted chipotle peppers. I'm really excited to see what else we'll be getting this season. 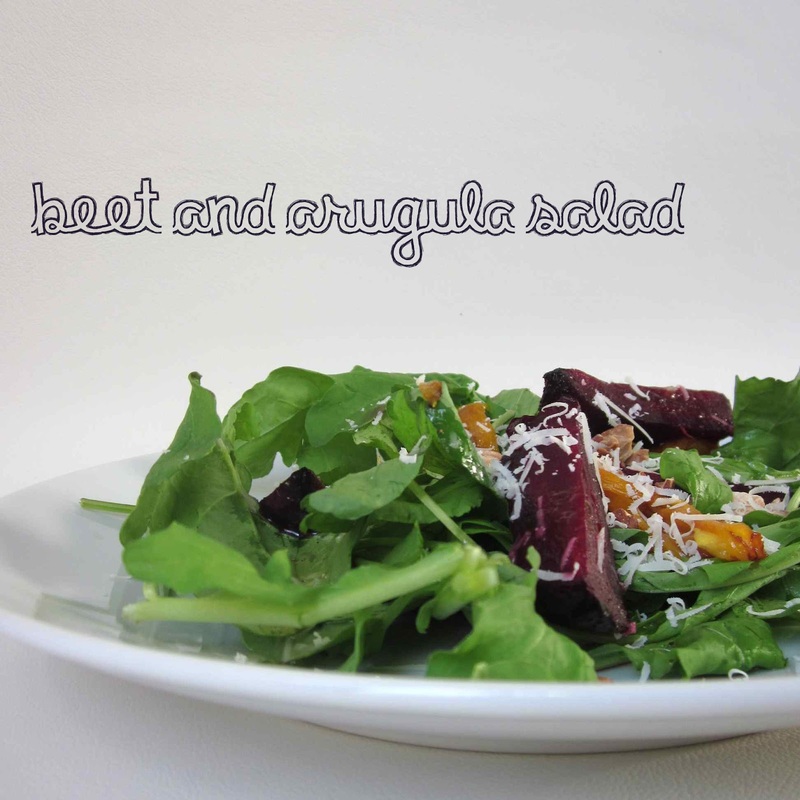 For dinner last night, I roasted the beets and served it over the spicy arugula with some roasted sweet peppers, almonds, and Parmesan cheese. We didn't have any dressing, so I made a quick honey vinaigrette for this refreshing salad.